"These delicious banana muffins are easy for kids to make." Combine bananas, sugar, egg, and melted butter in a large bowl. Fold in flour mixture, and mix until smooth. Scoop into muffin pans. Bake in preheated oven. Bake mini muffins for 10 to 15 minutes, and large muffins for 25 to 30 minutes. Muffins will spring back when lightly tapped. Turned out great! I made half a dozen, followed the recipe exactly. Just make sure you don't mix the wet ingredients and the dry ingredients too much. That's the key to making good muffins. Good + very easy. Wouldn't beat them though, it makes them drier - the key is to barely moisten the mixture and then pop them in the tin. I used part brown sugar, and added a splash of vanilla and a pinch of cinnamon. You can really taste the banana flavor. and adding nuts is delicious! Great recipe. 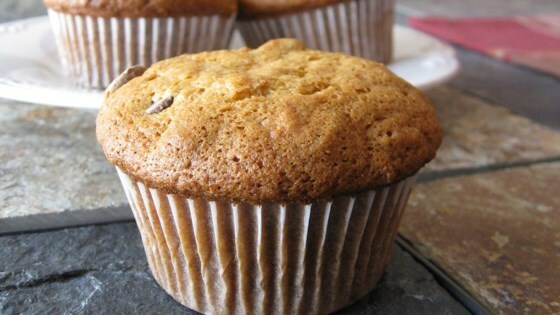 I replaced the butter with applesauce for a low fat muffin with wonderful results.